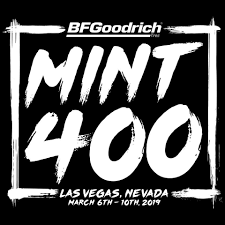 The Mint 400 is an annual desert off-road race, sure. But it’s not just a race. It’s 400 miles of grit, steel-eyed determination and getting back to basics. Man. Machine. Mother Nature. The formula for success? Well, that’s no secret. Kick up a little dust. (Okay, a lot of dust.) Get gone long before the goin gets tough. And start thinking of roads as, uh, suggestions.